I received the article from 2 people already (thanks C.R. & David D.), because once again, WAX Golf readers know more about a proper golf swing than the so-called “swing gurus” who publish things or talk about the golf swing on TV/Radio. I can’t be polite about this, because if knowing proper golf swing mechanics required a university or college degree, these people would fail freshman year, and they’re teaching people. This entry was posted in Address Procedure, Ben Hogan, Classic Swing, Floating Heel, Golf Swing Biomechanics, Golf WRX, Jack Nicklaus, MCS Golf Swing, Planted Heel Swing and tagged Address Procedure, Ben Hogan, Classic Golf Swing, DJ Watts, Floating Heel, Golf Swing Biomechanics, Golf WRX, Jack Nicklaus, MCS Golf Swing, Modern Golf Swing, Planted Heel, WAX Golf on November 16, 2018 by D Watts. I am posting another full Skype session with Fluffy a.k.a. T.Ferguson, from yesterday. There is more to the title, but the essential element I got out of what Fluffy can do to get more power out of his natural swing action is the “dropping the shoulder” action that goes hand-in-hand with the aggressive move into the leading side. 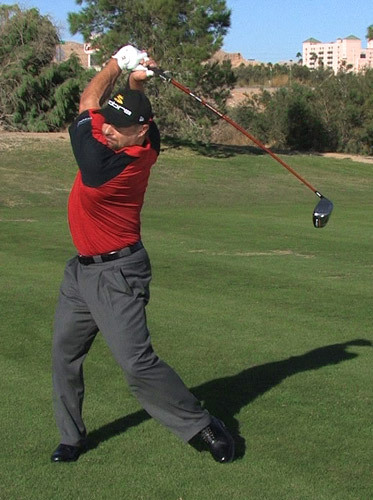 This entry was posted in Address Procedure, Floating Heel, Floating Pivot, MCS Golf Swing, Pivot, Planted Heel Swing, Short Stop Slide, Skype Lessons and tagged Address Procedure, Floating Heel, Floating Pivot, MCS Golf Swing, Planted Heel, Short Stop Slide, Skype Golf Lessons on October 20, 2018 by D Watts. If You Want To Know Why Ian Poulter Is Playing Better.. I have an observation that one of WAX Nation passed on to me with regards to Ian Poulter’s swing on weekend (thanks A.M.!). I would hazard a guess that some of it has to do with renewed focus and commitment, but this is a guy who nearly lost his Tour card before suddenly going on a tear this year, making the semi-finals in the WGC Matchplay and then winning the Houston Open yesterday! This entry was posted in Classic Swing, Floating Heel, MCS Golf Swing, PGA Tour and tagged Classic Golf Swing, DJ Watts, Floating Heel, Ian Poulter, MCS Golf Swing, PGA Tour, WAX Golf on April 2, 2018 by D Watts. I was struck by Jon Rahm’s swing and power yesterday when I took in a bit of the Dean & Deluca at Colonial. He first came to the attention of many with his power shank off the tee with an iron last summer at the Quicken Loans, but what I saw yesterday was a much better move than what I saw back then. This entry was posted in Classic Swing, Floating Heel, Jon Rahm, MCS Golf Swing, PGA Tour and tagged Classic Golf Swing, DJ Watts, Floating Heel, Jon Rahm, MCS Golf Swing, PGA Tour, WAX Golf on May 29, 2017 by D Watts. I found the below article posted on Golf.com. 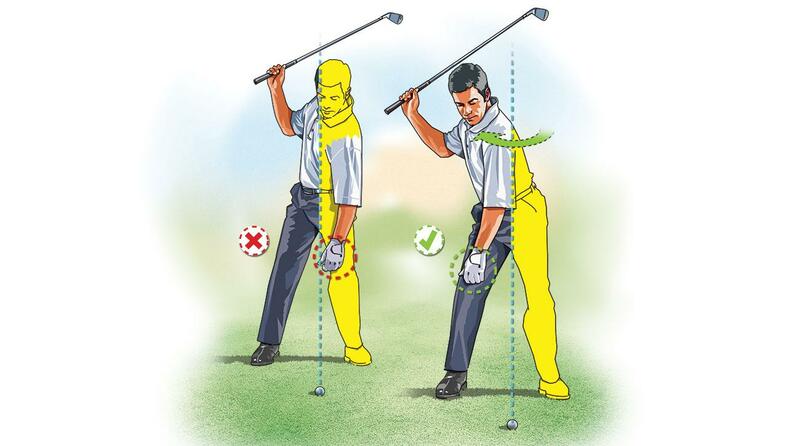 The piece deals with golfers tending to reverse-pivot on the back swing as they get older, due to loss of flexibility, especially in the lower body, and how not to fall victim to it. This entry was posted in Classic Swing, Floating Heel, Left Biased Address, Left Biased Swing, MCS Golf Swing, Modern Swing, PGA Tour, Planted Heel Swing, Tiger Woods on April 18, 2017 by D Watts. Let me run something past everyone, because I can’t wrap my brain around the logic of what Modern Golf Swing proponents are always saying. I’m talking about the restricting of the hip turn in the back swing by keep that leading heel firmly planted on the back swing, all to promote more stability and therefore consistency in the golf swing. This entry was posted in Classic Swing, Floating Heel, MCS Golf Swing, Modern Swing, PGA Tour, Planted Heel Swing and tagged Classic Golf Swing, DJ Watts, Floating Heel, MCS Golf Swing, Modern Golf Swing, PGA Tour, Planted Heel, WAX Golf on April 17, 2017 by D Watts. It boggles my mind that Zuback, in the early 2000’s, was around 200 mph in ball speed (Ryan Winther now holds the official record in ball speed at around 227 mph and an unofficial mark of 237 mph). That’s because I have actually gotten into the mid-190’s without having to live in the gym because of technique over muscle power, but one thing I can tell you – the clip below puts the Modern Golf Swing industry to shame. This entry was posted in Classic Swing, Floating Heel, Jason Zuback, Leverage, Long Drive, Modern Swing and tagged Classic Golf Swing, DJ Watts, Floating Heel, Jason Zuback, Leverage, Long Drive, Modern Golf Swing, WAX Golf on February 24, 2017 by D Watts. 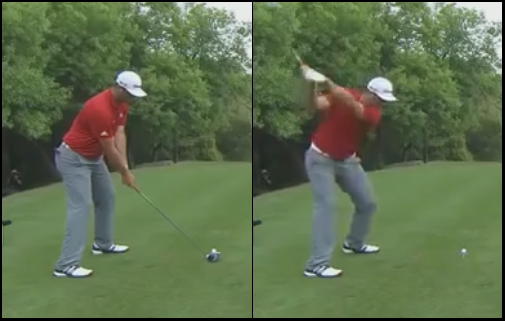 I have figured out a way to slow down the Mike Dunaway “stickman” swing gif. that I created years ago, and I found his positions to be illuminating. 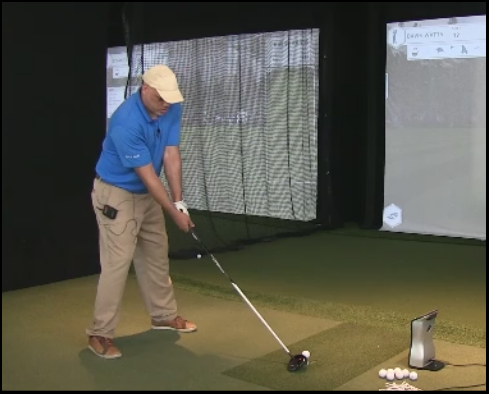 There was a lot of discussion back in the Mike Austin days of the then-named DJ Watts Golf blog (later changed to Wax Golf when my swing theory diverged from the Mike Austin model in 2013), about their impact positions. 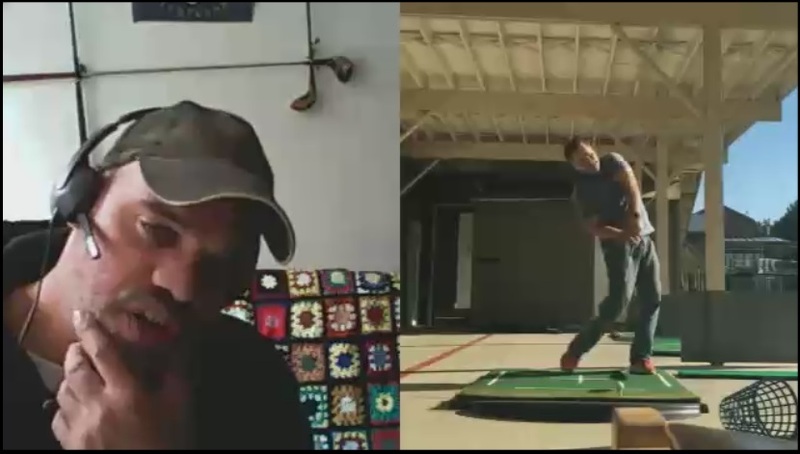 This entry was posted in Address Procedure, Angle of Attack, Floating Heel, Impact, Leverage, MCS Dropping The Hammer, Mike Dunaway and tagged Angle of Attack, DJ Watts, Floating Heel, Impact, Leverage, MCS Dropping The Hammer, Mike Dunaway, Swinging Gate, WAX Golf on January 11, 2017 by D Watts. 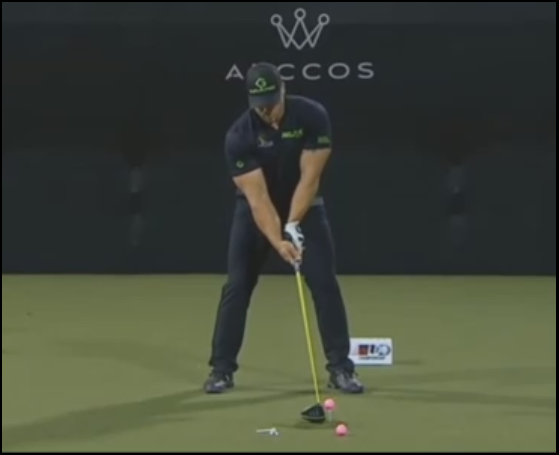 If you watched last week’s World Long Drive Championship, you would have seen very good form from the two Finalists. Everyone has been looking at Joe Miller’s swing, but I wanted to show Finalist runner-up Ryan Steenberg’s swing, because there’s a lot you can learn from it (if you watch any of the MCS Trilogy swing videos, you’ll learn the same things). This entry was posted in Address Procedure, Bubba Watson, Classic Swing, Floating Heel, Floating Pivot, Fundamentals Trifecta, Joe Miller, Long Drive, MCS Golf Swing, MCS Long Drive, Modern Swing, Phil Mickelson, Ryan Steenberg, Tiger Woods, Vijay Singh and tagged Address Procedure, Bubba Watson, Classic Golf Swing, DJ Watts, Floating Heel, Floating Pivot, Fundamentals Trifecta, Joe Miller, Long Drive, MCS Golf Swing, Modern Golf Swing, Phil Mickelson, Ryan Steenberg, Tiger Woods, Vijay Singh, WAX Golf on October 18, 2016 by D Watts. I had posted earlier that although I’d always heard Steve Elkington had a great golf swing, I hadn’t yet conducted my swing research the last time I saw him swing. So I wouldn’t have known the difference between a classic versus modern golf swing. Then, when I finally got around to looking at Elk’s swing – oh yeah, not only a great swing, it’s of course a classic era golf swing. 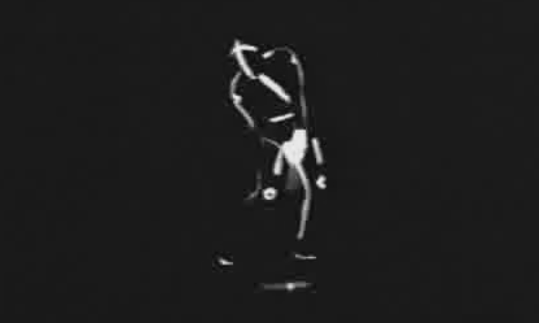 This entry was posted in Ben Hogan, Classic Swing, Floating Heel, Floating Pivot, MCS Golf Swing, PGA Tour, Steve Elkington and tagged Ben Hogan, Classic Golf Swing, DJ Watts, Floating Heel, Floating Pivot, MCS Golf Swing, PGA Tour, Steve Elkington, WAX Golf on March 2, 2016 by D Watts.